As President of Ireland (1990–97), Mary Robinson was the first head of state to visit Somalia following the crisis there in 1992, and brought global media attention to the suffering of Rwandans as the first Head of State to visit the country just after the 1994 genocide. Later as UN High Commissioner for Human Rights (1997–2002), Robinson integrated human rights into the United Nations system and became renowned as an outspoken activist dedicated to investigating and exposing human rights abuses across the world. In her eminent and wide-ranging roles as an academic, legislator and barrister, Robinson has always sought to use law as an instrument for social change. She has argued landmark cases before the European Court of Human Rights as well as in the Irish courts and the European Court in Luxembourg. Through her foundation Realizing Rights: The Ethical Globalization Initiative, Robinson sought to put human rights standards at the heart of global governance and to ensure that the needs of the poorest and most vulnerable are addressed on the global stage. She also co-founded the Council of Women World Leaders, a network that mobilizes women leaders at the highest levels to promote democracy and gender equality. 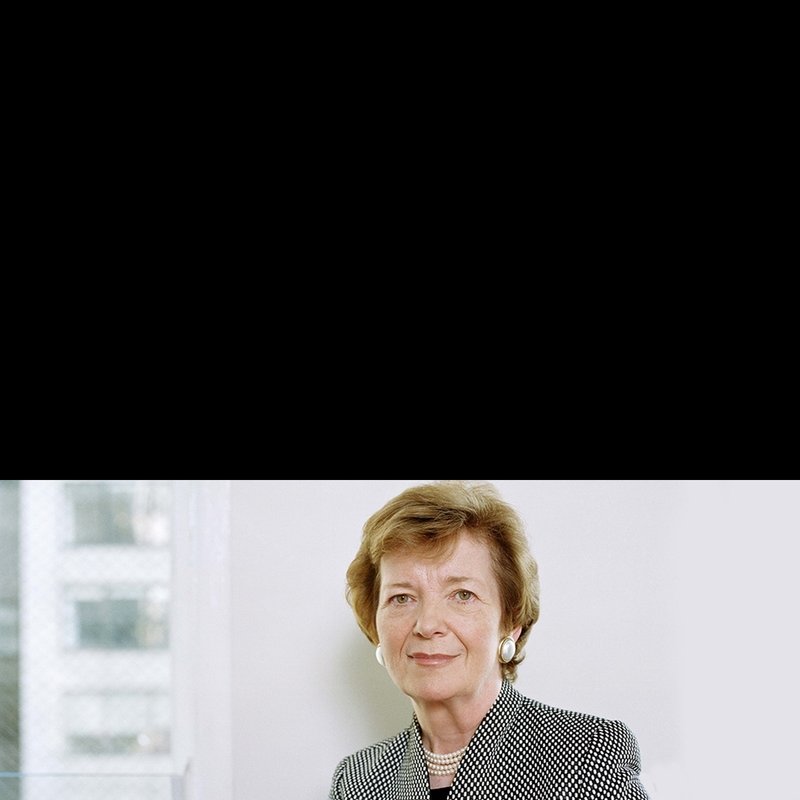 Her most recent initiative, the Mary Robinson Foundation – Climate Justice, is a center for education and advocacy on sustainable and people-centred development in the world’s poorest communities. She serves on several boards, including the European Climate Foundation, the Mo Ibrahim Foundation, and is a member of the Royal Irish Academy and the American Philosophical Society. Robinson is a member of the Club of Madrid, a group of global leaders working on governance and conflict issues.